Adrian Mutu is one of those soccer players whose personal life has often eclipsed his professional one. Due to numerous scandals involving women and drugs not many people were able to fully comprehend the talent of Romanian striker Mutu. To an extent he is still considered one of the great players of the modern era, in Romania he is a hero and his image of a party boy is often overlooked due to his accomplishments on the soccer field. Hell raiser no doubt, Mutu was also one of the finest midfielders the game ever saw. It can be stated that he never really truly reached his potential as the allure of other things tainted his reputation. Since retiring from the sport, which included being suspended twice for failing two drugs tests, Mutu now works as a General Manager now for Dinamo Bucharest. Born in 1979 in Călineşti, Romania and was five when he first touched a soccer ball. At the age of 18 Mutu started his professional career at Arges Pitesti, which was his hometown club. He went on to play 47 matches for the club and scored 14 goals. Next was a move to one of Romania’s biggest clubs – Dinamo Bucharest, by then he was 20 and made 17 appearances. Drugs, women and a childish attitude towards the game were some of the many reasons why Mutu never lived up to his potential. Despite the lows he came to face through his career Mutu is still regarded as one of Romania’s greatest ever players. He starred in the Serie A for a decade and provided fans with some of the most thrilling goals. During his league matches spell Mutu scored 18 goals in all matches and then went on to score 24 goals in 25 matches in the new season. On an international front Mutu made his debut against Greece in 2000 and represented Romania in the Euro 2000 where his team beat England in a memorable match. Mutu scored the decisive goal which leveled Romania against Germany 1-1 in the next match. Mutu played for his national team 72 times and scored 34 goals. It was Domina Bucharest where he made a strong mark scoring 22 goals in 33 matches in just one year. He equaled Gheorghe Hagi for the all-time record of 35 goals. Mutu shifted in between clubs Parma and Internazionale before signing a contract with Chelsea. What could have become a defining moment in his career ended up being one of his worse due to his erratic behavior both on and off the soccer field, constant arguments with the team coach and manager. His mood swings prompted Chelsea to order him to take a drugs test which he tested positive for. Despite the setbacks it’s worth noting that Mutu was a highly skillful and creative player with an eye for the goal. 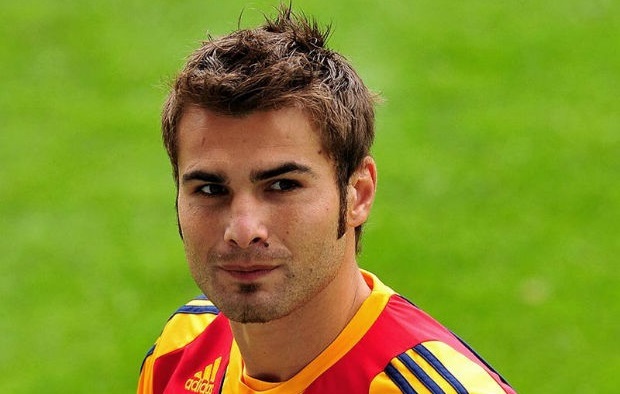 Adrian Mutu has won the Romanian Footballer of the Year award numerous times including in 2003 2005 2007 and 2008. He is so far the only Romanian player to win the coveted Guerin d’Oro in 2007. He was the Coppa Italia top scorer twice in 2009 and 2010.